11 of the destination’s hotels received the 2017 Gold Crown Resort; the company also presented four 2017 Excellence in Service awards and four 2017 Premier Plus awards, among others. The company with the largest timeshare network in the world, RCI (Resort Condominiums International), has been and will be presenting awards over the course of the next few days to the Riviera Nayarit hotels that are affiliated with this group. 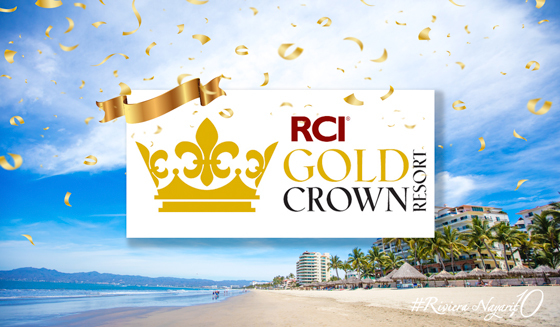 The are 11 hotels that have now received the 2017 Gold Crown Resort award: Grand Velas Riviera Nayarit, Occidental Nuevo Vallarta, Hard Rock Hotel Vallarta, Marival Residences Luxury Resort, Marival Resort & Suites, Mayan Palace Nuevo Vallarta, Mayan Sea Garden Nuevo Vallarta, The Grand Mayan Nuevo Vallarta, Dreams Villamagna Nuevo Vallarta, Iberostar Playa Mita and Grand Sirenis Matlali Hills Resort & Spa. The RCI Gold Crown Resort awards are handed out to the hotel establishments that consistently provide excellent vacation experiences. In order to receive these recognitions, the hotels need to reach certain pre-established standards based on the scores from comment cards in the areas of service to the units, maintenance, plus hospitality and registration procedures. The four hotels that also received the 2017 Excellence in Service and the 2017 Premier Plus awards were Grand Velas Riviera Nayarit, Occidental Nuevo Vallarta, Hard Rock Hotel Vallarta and Marival Residences. Along with the awards for the hotels there have been other awards presented to the operations personnel, namely the Diamond awards, presented on this occasion to Vallarta Gardens. Another award for the personnel was the Top Seller recognition given to the best sales people. In the Riviera Nayarit there are a good number of people and places that are currently receiving these recognitions.